Quickly browse Sarasota 55+ condo communities below. Just click on a condo's photo or title to view the current condos for sale, and also learn more about that particular condo community. Woodside Terrace Condos For Sale | Sarasota, FL. Amenities: 55+ community, community pool and club house. Maintenance Includes: Building Exterior, Cable, Community Pool, Escrow Reserves Fund, Flood Insurance, Ground Maintenance, Insurance Building, Pest Control, Private Road, Public Insurance, Recreational Facilities, Roof. Woodmere At Jacaranda Condos For Sale | Venice, FL. Amenities: 55+ community, gated, clubhouse, three restaurants with award-winning dining service, lounge, fitness center, pool, 24-hour access to medically trained staff, 24 hour concierge services, transportation services, and weekly or bi-weekly housekeeping. Maintenance Includes: Building Exterior, Cable, Ground Maintenance, Insurance Building, Maintenance/Repairs, Pest Control, Roof, Security, Trash Removal, Water/Sewer. Village Plaza Condos For Sale | Sarasota, FL. Amenities: Heated pool, club house with meeting room, fitness and sauna rooms, large BBQ area and shuffle board, 55+ community. Maintenance Includes: Building Exterior, Community Pool, Escrow Reserves Fund, Fidelity Bond, Ground Maintenance, Insurance Building, Maintenance/Repairs, Manager, Pest Control, Private Road, Public Insurance, Roof, Water/Sewer. 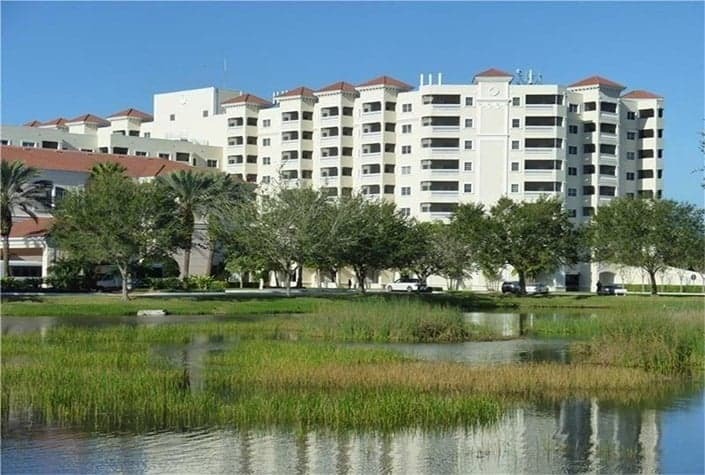 Village In The Pines Condos For Sale | Sarasota, FL. Amenities: Community pool, fitness room, 55+ community. Maintenance Includes: Cable, Community Pool, Escrow Reserves Fund, Fidelity Bond, Ground Maintenance, Insurance Building, Pest Control, Private Road, Recreational Facilities, Trash Removal, Water/Sewer. Village Green Condos For Sale | Sarasota, FL. Amenities: Community pool, 55+ community. Maintenance Includes: Building Exterior, Cable, Community Pool, Escrow Reserves Fund, Ground Maintenance, Insurance Building, Manager, Pest Control, Private Road, Recreational Facilities. Venetian Falls Condos For Sale | Venice, FL. Amenities: Two heated pools, 55+ community, state-of-the-art fitness center, Bocce Ball courts, putting green, Billiard room, library, community garden, internet cafe. Maintenance Includes: Cable, Community Pool, Escrow Reserves Fund, Ground Maintenance, Internet, Manager, Pest Control, Public Insurance, Recreational Facilities. Amenities: Community pool, 55+ community, elevators, laundry facilities. Maintenance Includes: Building Exterior, Cable, Ground Maintenance, Manager, Recreational Facilities, Roof, Trash Removal, Water/Sewer. Tallywood Condos For Sale | Sarasota, FL. Amenities: Community pool, 55+ community, fitness center, clubhouse, pool. Strathmore Riverside For Sale | Sarasota, FL. Amenities: 55+ community, heated pool, his and her saunas, dock slips/marina, recreation room, billiard room and fitness room. Maintenance Includes: Building Exterior, Cable, Community Pool, Ground Maintenance, Manager, Recreational Facilities, Trash Removal, Water/Sewer. Water Views: Some creek views.